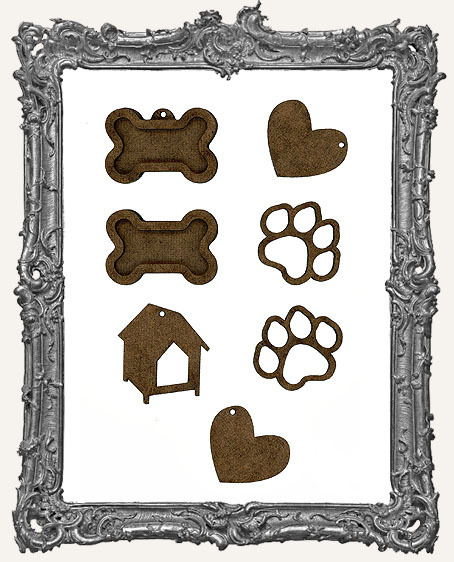 * A wonderful set of 7 dog trinkets! * They range in size from 1.25" - 2". Excellent for ATCs, Cards, Tags, and just about everything else! 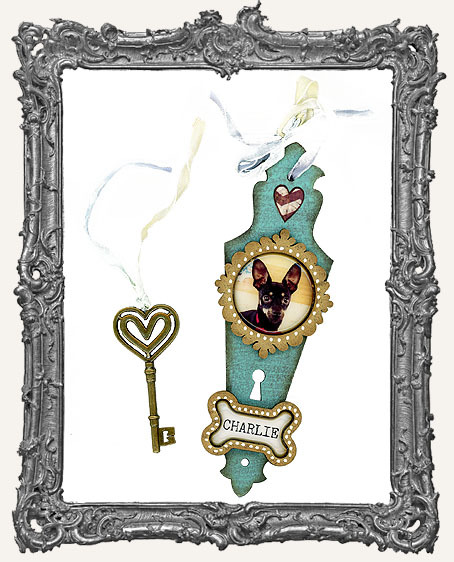 Perfect for making pet keepsakes! * Endless possibilities - Paint, Ink, Distress, emboss, embellish, and much more! * Pick your choice of material below: Sturdy 1/8" Masonite (as shown), 1/16" Chipboard, 1/16" Black Mat Board, or .015" thick Stencil Board.